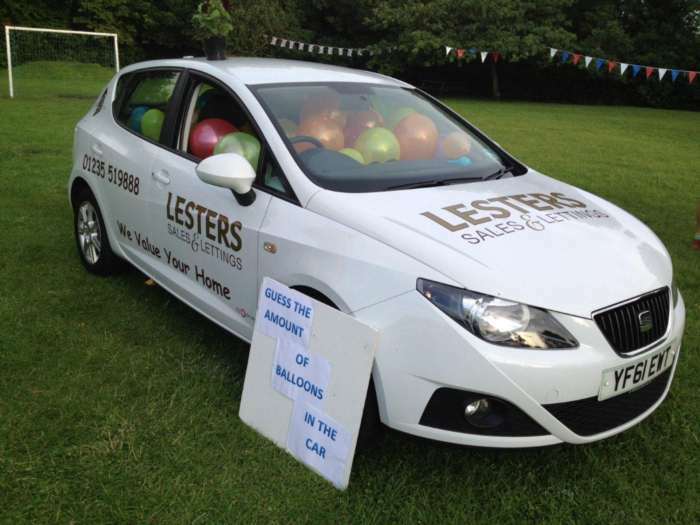 On Friday 13th Lesters were at Brightwell primary school fete raising money for the school. One of the Lesters cars was full of 219 balloons. Ali Zalinski and Leanne Jocelyn shared the prize having both guessed 218 and 220 respectively. If you are based in south Oxfordshire and fundraising for your local school or charity contact one of the partners at Lesters. Julian Walley and James Gesner are Involved with a number of local charties and organisations have children who attend local schools.